Hi, I would like to know if it's possible to use one of your map in order to my French mapping tutorial. I already made one episode. 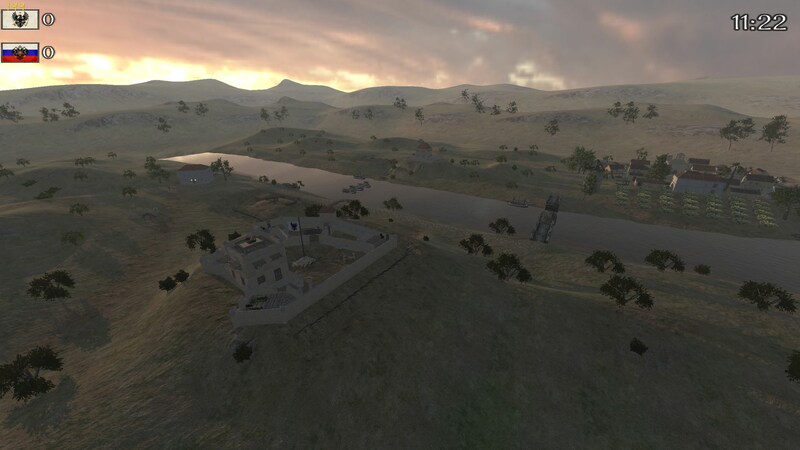 Would it be ok for me to use the Papellote (Waterloo) map as a base for a Jailbreak map for 59th JB? I'll wanted to make some additions like a river, a win point, some cells and showers, etc. I'll make sure your work will be referenced with a link to this thread on the relevant JB threads when it is completed. Yes, it is OK to use any of the maps that have download links on this thread. That is what they are there for. The only thing that I ask is that you state that the map is a modified version of an original one of mine when listing credit. Thank you very much for creating those scenes. We used the "Torhaus Dölitz" Siege Scene in our Linebattle. Can these maps be played on commander battle? None of the maps have an AI mesh so most of them will not work well for commander battles. Great maps. Using some on the *NA_GC_Siege community server. In the thread you'll see credit has been given to you for the maps. We're using some of these maps on Minisiege as rotation and out of rotation maps. The main map in question we are using is "Almaraz", for our rotation, and is under the name of Custom map 97 on our server, which we've edited it heavily to work for our Siege game mode. We've provided credit in our announcements on our Discord, Steam Group and Website. We might use more in the future if we can edit them to fit the theme of Siege, but we will of course credit you further if this does happen. Great maps, thank you very much for sharing these and letting us edit them!